There is an excellent recital coming up by two of my long term students who I’ve taught since they were children. Sofia is off to Harvard next year on a rowing scholarship and Simon will be taking music up at UVic. This is an opportunity to see some great guitar and to learn what long term study can lead to! I would really like everyone to make and effort to come see them play! 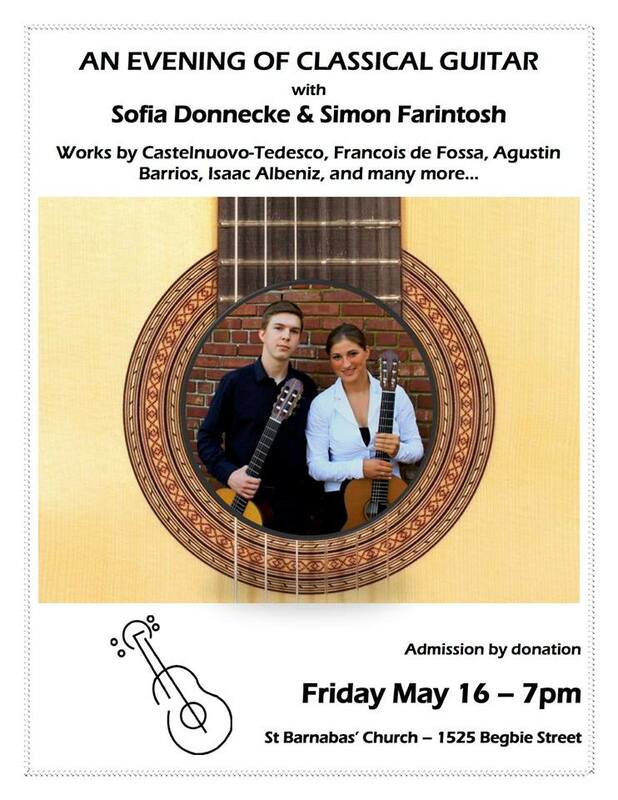 Friday, May 16, 7:00pm, Sofia & Simon present a Classical Guitar Concert. Both students are playing grade 10 to ARCT level concert repertoire. It should be an excellent concert. They graduate from high school this year so come to this concert and give them a good farewell. St Barnabas’ Church, 1525 Begbie Street, admission by donation.